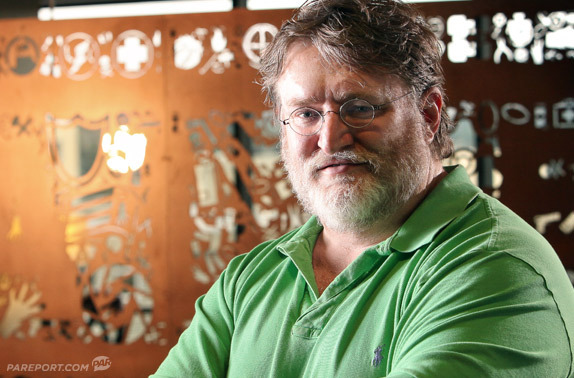 Gabe Newell let slip that DOTA 2 will be free 2 play, but with a twist. “It’s going to be free-to-play — it’ll have some twists, but that’s the easiest way for people to think about it,” he revealed. “The issue that we’re struggling with quite a bit is something I’ve kind of talked about before, which is how do you properly value people’s contributions to a community?,” he mentioned when asked about what kind of “twist ” players can expect from the game. “We’re trying to figure out ways so that people who are more valuable to everybody else [are] recognized and accommodated. “We all know people where if they’re playing we want to play, and there are other people where if they’re playing we would be on the other side of the planet. “It’s just a question of coming up with mechanisms that recognize and reward people who are doing things that are valuable to other groups of people,” he added. He said that the free-to-play model Valve has in mind for DOTA 2 is completely unique and hasn’t been done before. “When you start thinking about the different games that people play and you try to think about how people can create value or a service in one game and benefit somebody in a different game, you can start to see how the different games sort knit together,” Newell said. “[You can see] how somebody who really likes Team Fortress 2 (TF2) can still be creating value for somebody who is playing DOTA 2 or Skyrim, or if somebody is a creator in one space how it can translate into another.